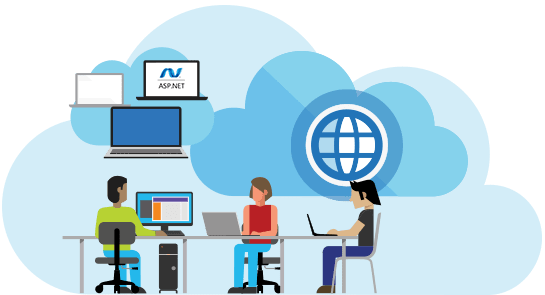 Kurdsoft, one of the pioneers in ASP.NET web development provides feature-rich applications to deliver fruitful results to businesses. An online presence helps in establishing a successful business in Kurdistan. Kurdsoft delivers industry-focused solutions, which are scalable and robust using ASP.NET technologies. With over 8 years of experience and expertise in Microsoft .NET technologies like C#, ASP.NET, and MVC, our team has successfully created cutting-edge solutions for our clients. Kurdsoft delivers reliable solutions to businesses irrespective of their size. We leverage our expertise in .NET technology to deliver software products, which are beneficial to security, run-time, inheritance, etc. Kurdsoft offers, CDN that boosts performance, secures websites, mitigates DDoS attacks for any server and ensures high availability. At Kurdsoft, we follow very basic but involved process to get deliverables out of the door. Our defined steps ensure that final product matches with your expectations and it is production ready.